The world has chosen October to create awareness about breast cancer, a form of cancer that kills many individuals every year. According to a report by the World Health Organization (WHO), 1.38 million cases of breast cancer are reported every year. It kills more than 450,000 individuals annually. By far, breast cancer is the most common type of cancer among women worldwide. Although cancer also affects males, it is common among females. 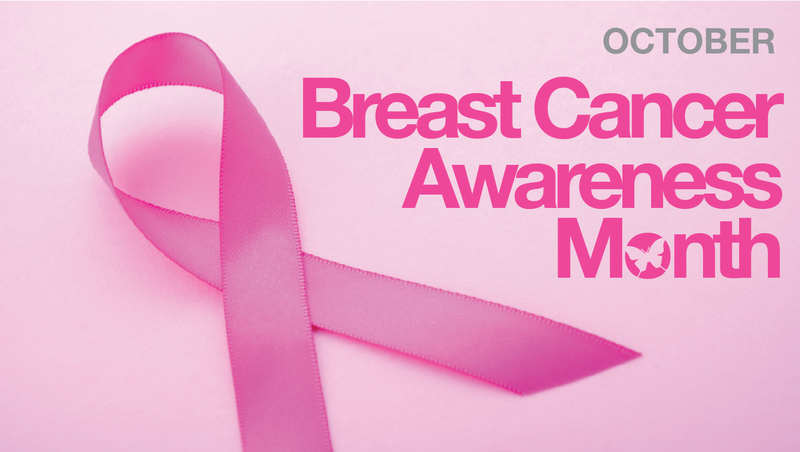 Breast cancer is the second most common type of cancer in women. Around 12 in 100 women in the United States are at a risk of developing breast cancer at some point. Breast cancer is a deadly condition, but it can be treated when diagnosed early. Through screening, women can identify their cancer risks and treat them early. Breast Cancer Awareness Month, also known as National Breast Cancer Awareness Month in America, is an opportunity to raise awareness on cancer and show support for people with breast cancer. Apart from raising awareness, several non-profit organizations around the world begin breast cancer campaigns to raise funds. The collected money is later utilized to support studies on cancer or help people living with the condition. How Does Breast Cancer Awareness Month Make A Difference? Breast cancer awareness month in October is a time to spread awareness on the cancer type and encourage women to get tested for the condition. Apart from non-profit organizations, many individuals worldwide become a part of the awareness month and join initiatives to make a positive difference in the society. WHO also launches breast cancer control programs and encourage people for early detection of cancer. How Can You Raise Awareness On Breast Cancer Awareness Month? Breast cancer awareness month is not limited to WHO or non-profit organizations. This year, you can also be a part of the awareness initiative and encourage people to get tested for cancer. Apart from that, you can also start awareness drives or launch fund-raising programs to help people who need it. Campaign With Non-profits: Several non-profit organizations worldwide launch breast cancer awareness campaigns every year in October. You can contact a non-profit in the neighborhood and volunteer for them. Apart from raising awareness, many of them also work to raise funds for people living with breast cancer. You can choose your objective for Breast Cancer Awareness Month this year and join a non-profit. Donate: If you do not have the time to join a non-profit and volunteer for it, then you can simply donate for a fund-raising campaign. Many organizations work to collect money for cancer patients or studies focused to find cost-effective solutions for breast cancer. After researching about a fund-raising campaign and its motive, you can donate an amount to it. Support A Research: If you know about a research working to find a more effective cure for breast cancer, then you can spread a word about it. You can make many people aware of it and encourage them to donate to it. The collected money can help study researchers to work more efficiently on their objective. Organize An Event: You can organize an event to educate people about breast cancer and encourage them for screening. You can gather important information on the cancer type and spread it to the masses. Start Fund-raising: Apart from raising funds for non-profits organizations, you can also start your own campaign and encourage people to donate for it. You can use several kinds of customized accessories, such as t-shirts or customized wristbands, to tell people about your fund-raising cause and its motive. You can also organize an event to raise funds and help people in need. Breast cancer awareness month 2018 is an opportunity to start a noble cause and help people living with breast cancer. By encouraging people for screening, you can save many lives. On the other hand, a fund-raising program can raise money for patients in need.